3. Birmingham Blogging Academy - Finding encouragement from my good friends online. 4. Project Bulk - Adventures in calorie counting and weight gain. 5. Alabama Social Media Association - Our great nonprofit group needs board members for 2013. • All my blogs are now available on Kindle. Please check them out and leave a review. • If you're on Google+, please join our new Birmingham Community. Everyone is welcome to participate and interact. 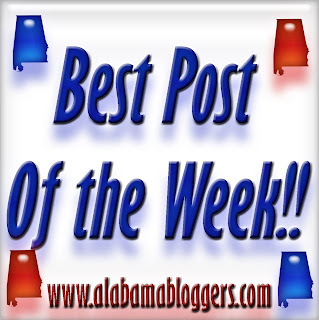 I've been missing the Alabama Bloggers weekly! Glad it's back. Thanks so much.